These days I call myself a runner...: Have I left my motivation in Madagascar? I've been back from our month long Madagascar holiday for 5 days now, and despite my best intentions, my motivation seems to have completely evaporated, and I've only been out for one run since my return, and that was only a 4 miler. 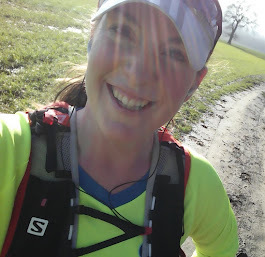 However, it was far enough to confirm that my fitness levels have plummeted as a result of the holiday, and if I'm serious about running a sub 4hr marathon in April, and completing my 50 miler in July, I have to seriously start to focus on my training and do whatever it takes to rediscover my missing mojo! I'm not quite sure why I've not been able to get back into the groove, because I really enjoyed that single run (even though it was very hard work!) but I'm hoping that by starting to blog again, and by spending some of today surfing some of my favourite running websites, reading some articles, even trawling through twitter and dailymile, I'm going to be able to get back into the right mind set, remind myself that if I want to be a runner I need to actually get some miles in, and be motivated enough to head out for a decent run. There's no doubting that it is very much colder than it was before we left on holiday, and it's more likely to be raining than not when I step out of the door, but not going out because of the weather really isn't a legitimate excuse, and to be honest, I think it's more an issue of a profound laziness that's come over me, that isn't just about running...I haven't even unpacked my suitcase from holiday yet - maybe it's the holiday blues?! Well, whatever the reason, I just need to man up, pull my finger out, get over it, and get on with it! If I'm not careful, and this laziness continues much longer, not only will my realistic aim of running a sub-4hr time become a distant memory, but the weight loss success that I've achieved so far this year is also going to be entirely undone, I'll end up in the same shape I was in this time last year, and will end up missing my running targets. I would be so upset if I let those things happen - it's certainly not worth another hour in front of the TV - so I really need to get back out and start pounding the pavements!